All images www.drewmalcolm.com.au , full gallery at Nacra 17 Sailing fb. Ruggero Tita & Caterina Banti 1st . No matter when you read this title...this Italian crew will be on top of the ranking in the Nacra 17 Class. Just like Besson & Riou did previous the 2016 Games, sounds repetitive but blame them and their blasting performance. 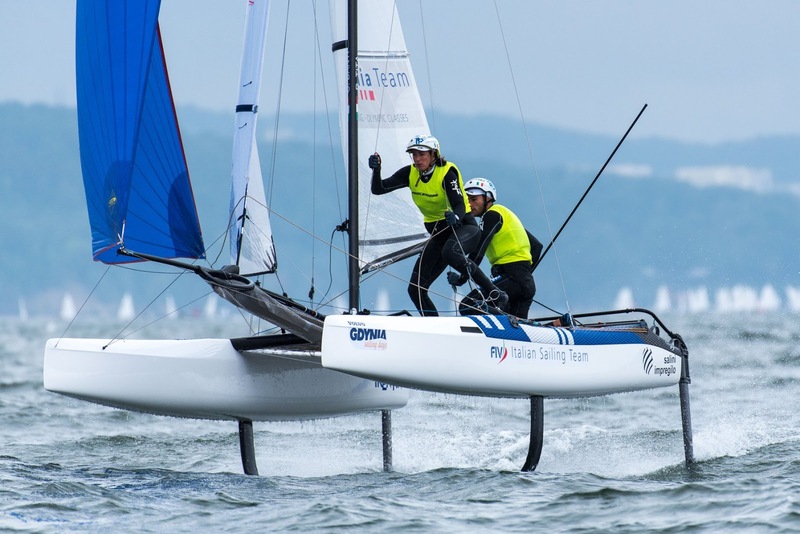 Nathan & Haylee Outteridge on their Nacra 17 debut had a good start but once in the Gold fleet scores were above top 10s. 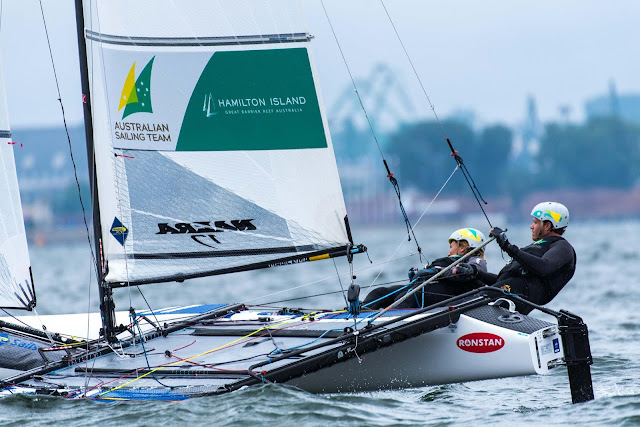 Still a 9th overall on the second annual most important event for the Olympic Multihull on a first try it's an excellent result for the Australians. Next regatta will be 2018 Worlds. 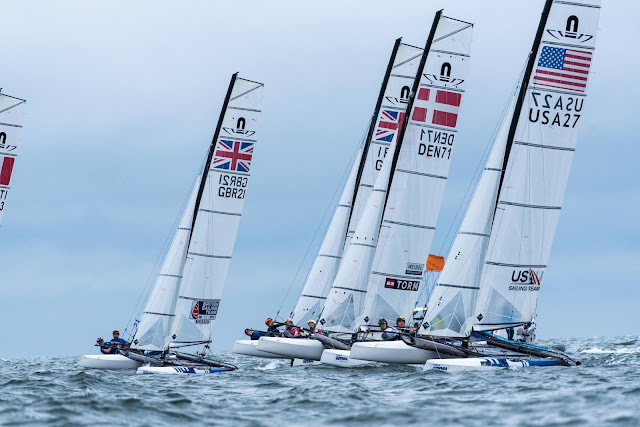 Eurpeans 2018 Medal race footage published earlier here. the medal race was mostly a formality. Mathematically the Italian pair could still fall out of contention – however unlikely - and indeed Tita and Banti saved their worst race for last. They started late, on port tack, while Rio Silver Medalists Waterhouse/Darmanin (AUS) charged off on foils to the left corner of the race course and a big lead. 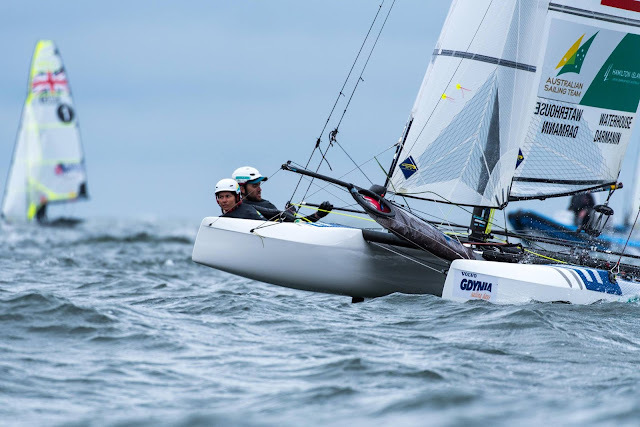 With barely 5 minutes on each leg of the short Medal Race, Tita/Banti never found the chance to claw back positions, though they didn’t need to: Despite a 7th place and 14 points on the board, Tita/Banti became the first repeat European Champions in the foiling Nacra 17. 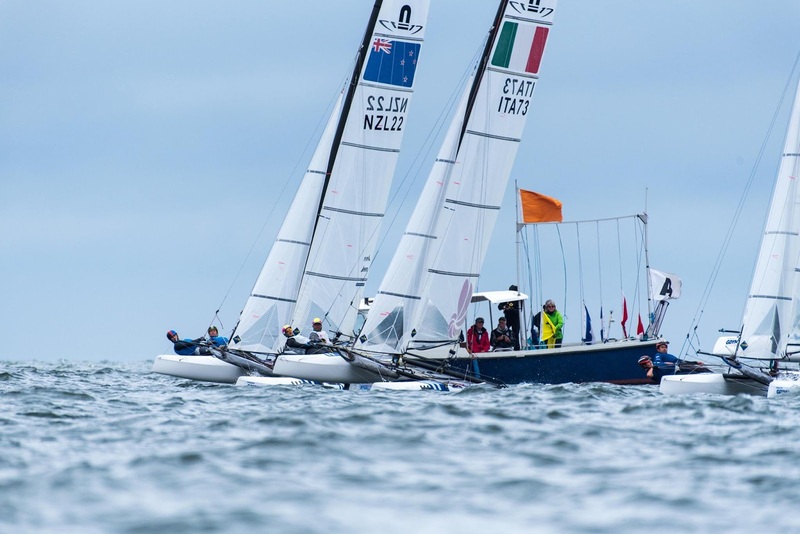 The Aussies would have a typically strong performance in the moderate winds while British Sailing Teammates Saxton/Boniface and Gimson/Burnet – both ahead of the Aussies - fought each other around the short course. 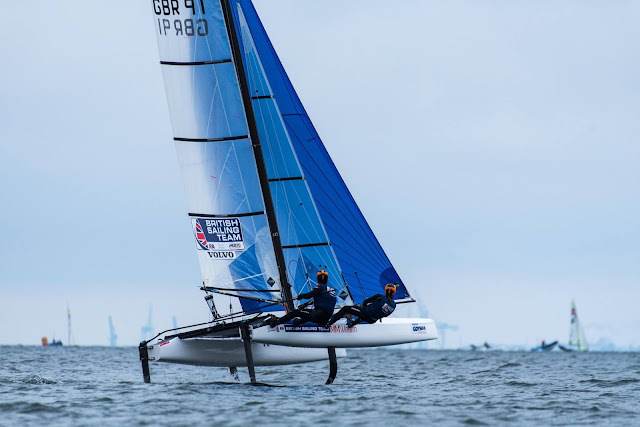 Genuises in the breeze, Waterhouse/Darmanin continued to extend their lead, and their bullet, combined with average finishes from the duelling English teams allowed them to jump both UK teams.to take 5th for the event.